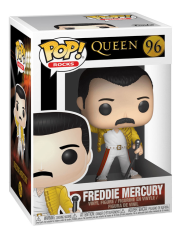 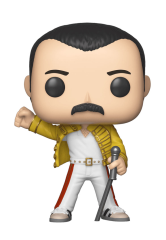 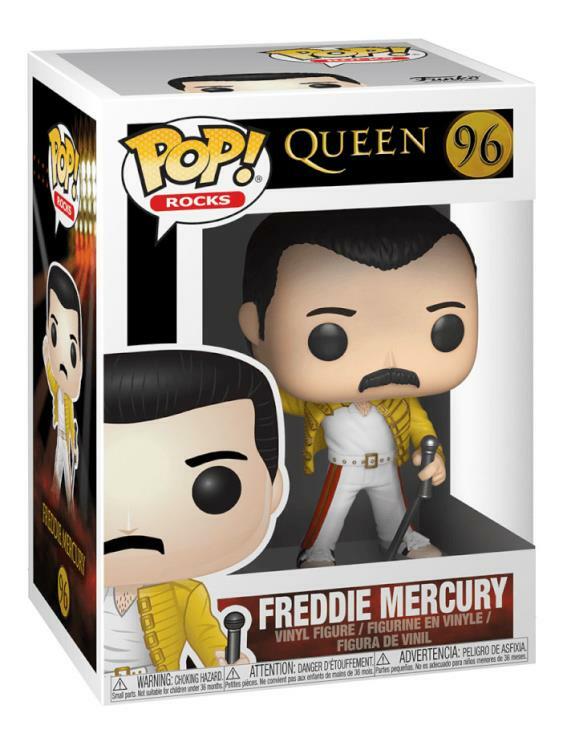 This Freddie Mercury Pop! 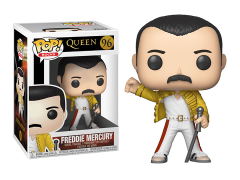 features the flamboyant style of the singer and pianists iconic white suit and vibrant yellow jacket worn for the 1986 Wembley Stadium concert. Freddie Mercury (Wembley 1986) Pop!